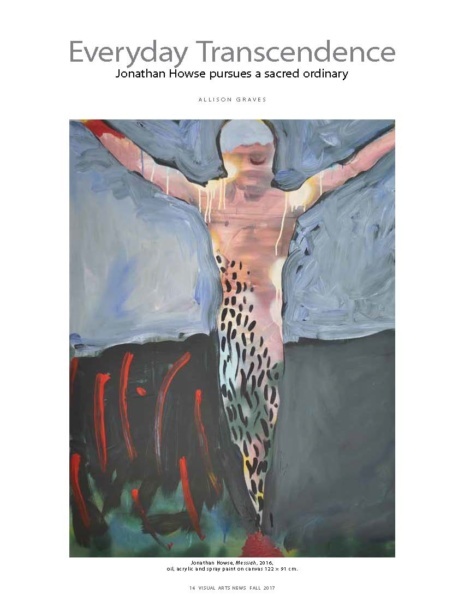 Everyday Transcendence is a review of Jonathan Howse’s 2017 exhibition, Sacred, by Allison Graves. It was published last October in the Fall 2017 print issue of Visual Arts News magazine. It is now available to read online in PDF form.